This book provides a systematic analysis of the performance of Brazil's large state-owned enterprises. The Brazilian economic system encourages private enterprise, but the government itself owns and operates such critical industries as petrochemicals, steel, electricity and telecommunications. The Brazilian state has assumed the role of an entrepreneur not for ideological reasons, but as a pragmatic means of speeding up the process of economic growth. 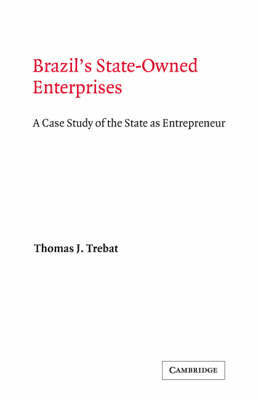 The author examines the economic and financial performance of these state-owned enterprises in terms of their contribution to economic growth. He concludes that in Brazil they have been effective substitutes for private investment in a number of strategic industries and that their ability to assemble large amounts of capital, to attract skilled managers, and to earn reasonable profits permitted the Brazilian economy to grow more rapidly during the 1960s and 1970s than would have been the case in their absence.